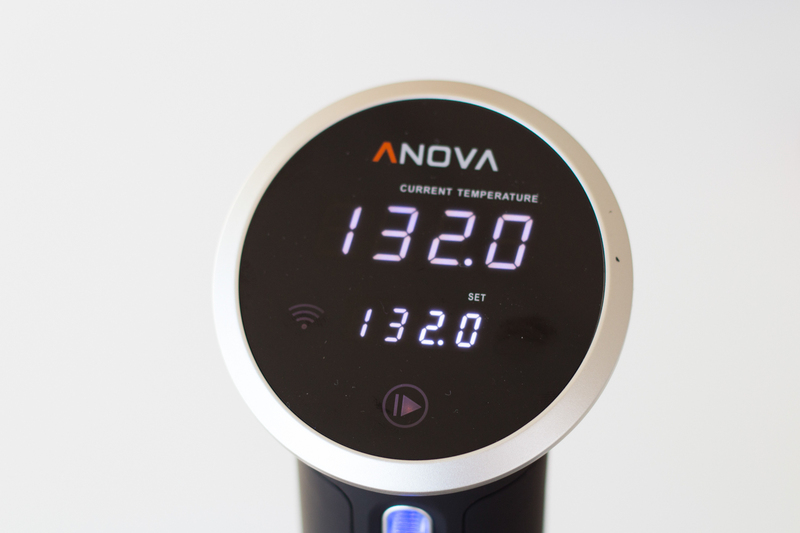 With the Anova Sous Vide Precision Cooker, you get perfect prime rib every time (which for us means, medium rare), with less than an hour of active cooking time. 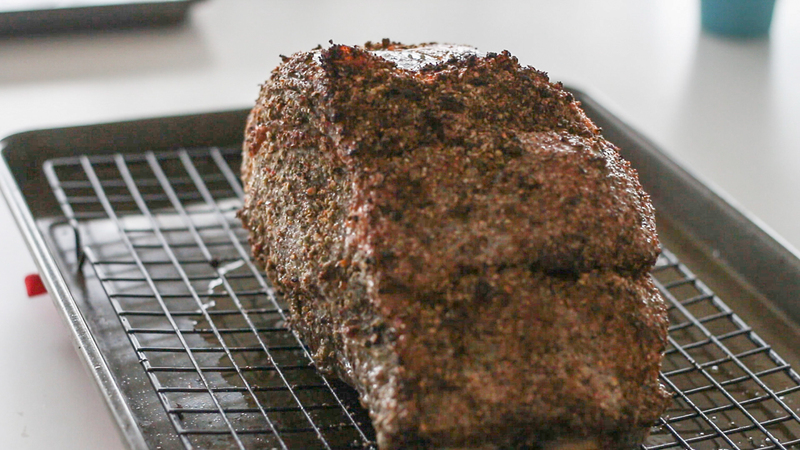 To ensure consistent seasoning, we dry rub the roast for at least an hour before the bath, and then finish with a festive multi-color peppercorn crust and 15 minutes in a hot oven to create a crispy, golden brown crust. 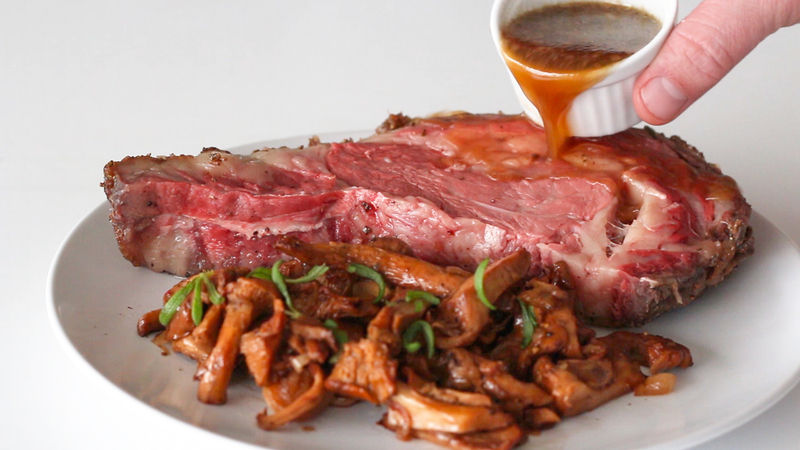 The beef cooking liquid is combined with rich homemade beef stock to create an amazing beef jus. 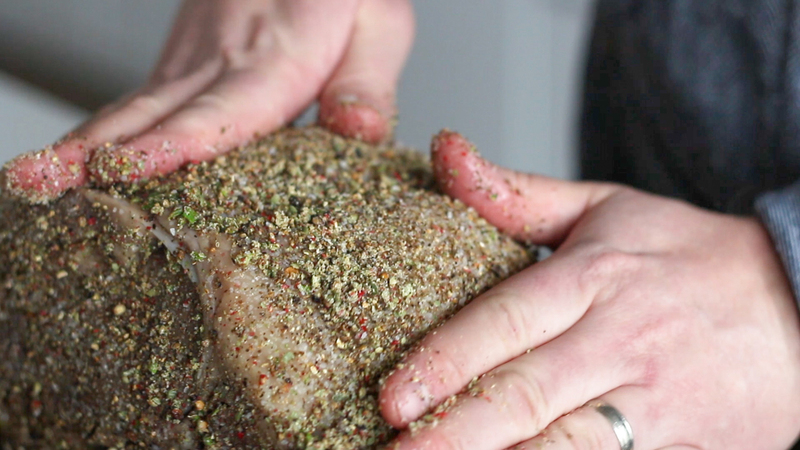 Generously season the beef with kosher salt and place in the refrigerator for at least one hour (and up to 12 hours). 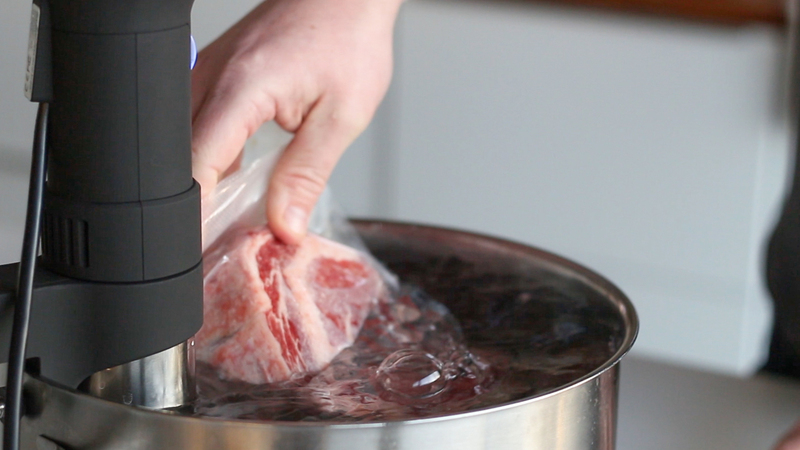 Place beef in a large Ziplock or vacuum bag, seal, and place in the water bath. Set the timer for six hours. Preheat the oven to 425°F / 218°C. 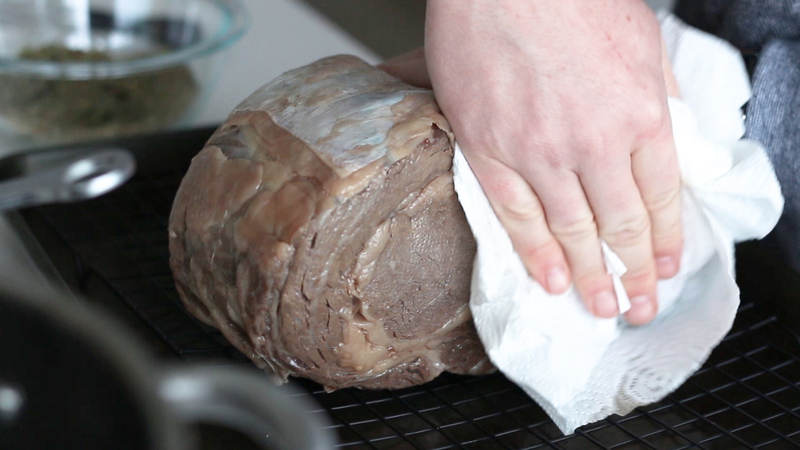 Remove the beef from the bag, reserving the cooking liquid, and pat dry. 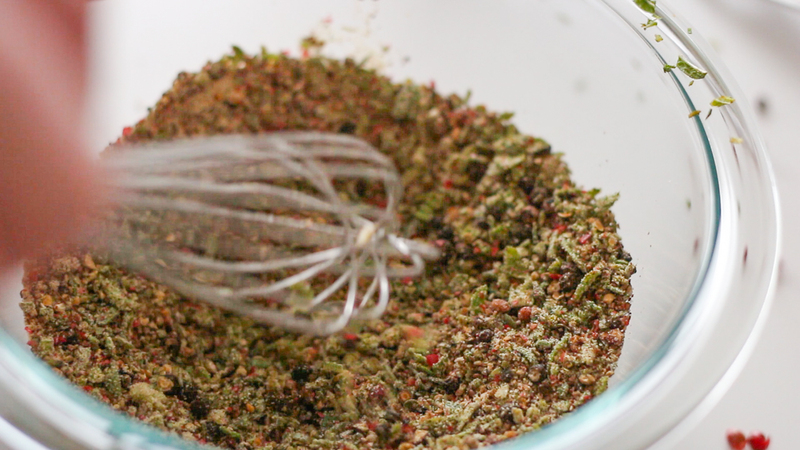 Whisk together the peppercorns, celery seeds, garlic powder, and rosemary. Place beef on a sheet ban with baking rack and roast in the oven for 10-15 minutes, until the crust is dark golden brown. 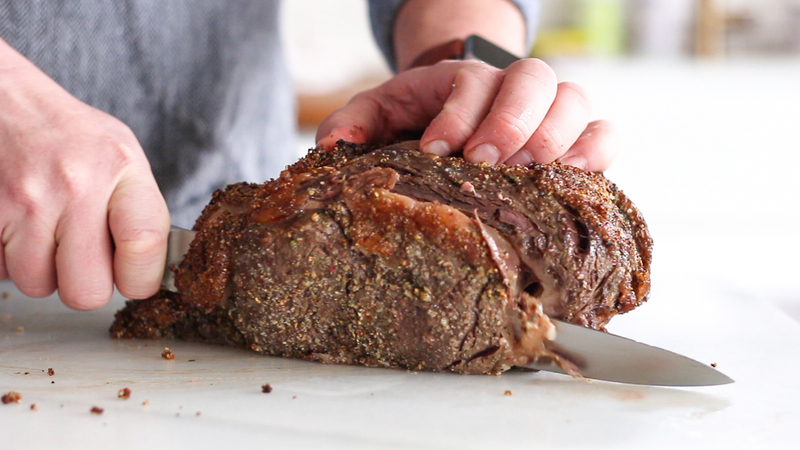 Remove the roast from the oven and let rest for 10-15 minutes before carving. 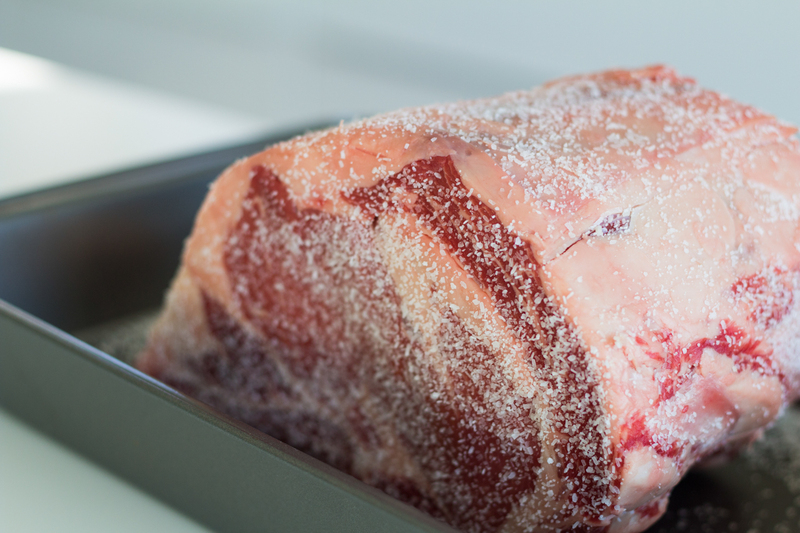 While the roast rests, in a large sauce pan, bring the sous vide cooking liquid and beef stock to a boil, reduce heat, and simmer until reduced by half. 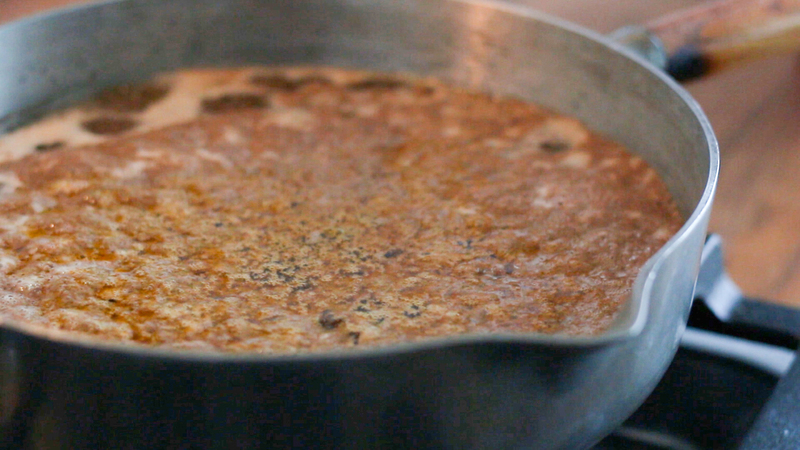 Skim off and discard any solids that float to the top. Carve the roast, trimming off the rib bones and slicing into six equal portions.